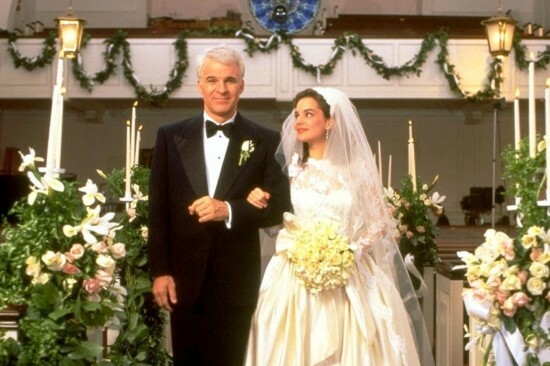 Last night, UTG was one of countless blogs who posted a story about Steve Martin joining Father Of The Bride 3. We sourced the information from NikkiFinke, which has proven to be highly reliable since its launch. Unfortunately, it seems they were wrong. Steve Martin took to Twitter earlier today to share his excitement about the Father news while simultaneously doing his part to downplay the rumors that such a film is even being planned. “So excited to read I’m doing Father of the Bride 3 since I haven’t seen a script or been offered the role,” he wrote. The original story, which now appears to be entirely false, claimed Martin would reprise the role of George Banks for a gay-themed take on the classic comedy franchise. It did seem odd that Martin would choose to create a third entry in the franchise given his recent body of work, but the premise seemed promising enough to warrant a full-on production. We may still see Father Of The Bride 3 one day, but it seems safe to assume it will not become a reality any time in the near future.